The first is Under Pressure Derivatization, which is used mostly for qualitative purposes, but has been neglected in regards to its qualitative aspects. Plate treated in full within 3 seconds. Clean, safe and ease of use. Safety of the working environment. And the second, is the acquisition of the plate’s image, by scanning and saving it. The image acquisition and saving are done through a scanner.&nbsp. Two detection methods: Visible and 254 nm (the latter is used 90% of the time). 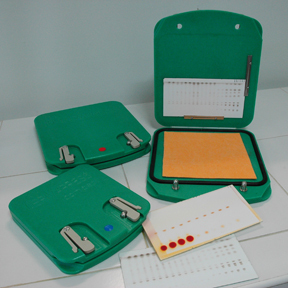 Images of the TLC plates are scanned and saved through a basic program in various formats including: jpg, eps, pdf, tif, etc. 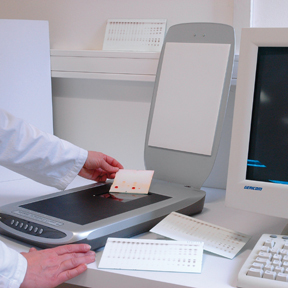 AR2i’s Derivapress and Chromimage are tools which will enable you to produce results, quickly and efficiently. They were created in the optic that, in this fast pace world, we need to save time and maintain a good stride on the production floor. By limiting your error margin in derivatizing, scanning and safekeeping your TLC plates, you are able, not only to keep up, but take the lead of this venture.